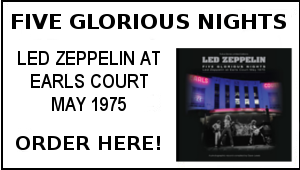 The headline in the Melody Maker read ‘’Led Zeppelin The Forgotten Giants?’’ Inside was a centre spread review by Roy Hollingsworth of Led Zeppelin’s appearances at the Nassau Coliseum. I remember devouring every word of this review because going on this report, the band had really edged up yet another notch. The review was simply amazing. 40 years on thanks to the enterprising tapers of the time, this week I’ve been soaking up the June 14 and 15 performances of those celebrated Nassau shows via the 5 CD set Whole Lotta Led/ Get The Led Out. And yes they were pretty amazing over those nights as they were during the whole tour. 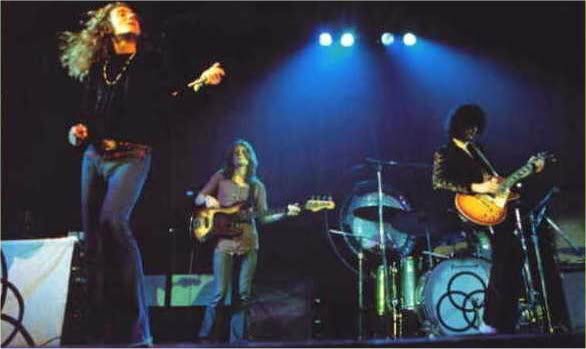 At the time, the press coverage for this Zep tour was somewhat muted due to The Rolling Stones undertaking a high profile US tour at the same time. 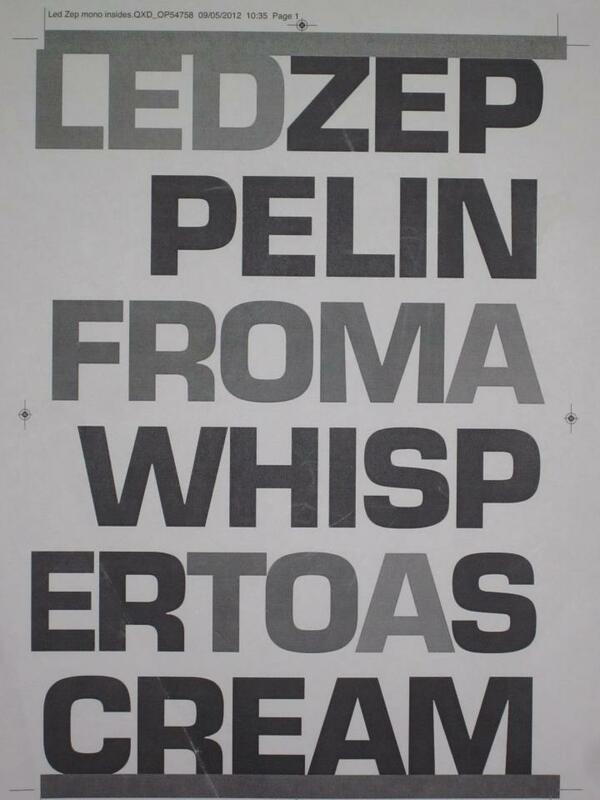 All these years on, we now know that Led Zeppelin were attaining new heights. Proof of this can also be heard officially on the 2003 How The West Was Won triple CD that chronicles the LA and Long Beach shows. I’ve always felt this set got lost a little bit being released at the same time as the five hour DVD. I played How The West was Won again this week and it really is a fantastic live album. I advise you to search out that one and revel in the glory that was all theirs 40 years ago this month. In the next issue of the TBL magazine, Mike Tremaglio will be logging the complete story of that 1972 summer US tour in his usual style. That’s another exciting prospect in an issue that is already lining up to be another action packed affair. No sooner has the recent TBL mag gone to press then the next one begins to formulate so it’s ever onward here. Many thanks for the many encouraging comments for TBL 32 – as one satisfied reader put it ‘’TBL 32 lives up to the hype!’’ I’d certainly like to think we produced something of lasting value and repeated reading and that will be again the challenge next time out. Another fantastic TBL mag.Loving the Australian bootleg tour section. My only complaint now is…having to wait a good few months for the next issue! Well done Dave and all involved in another great printed Zep fest- Steve Harrison UK. 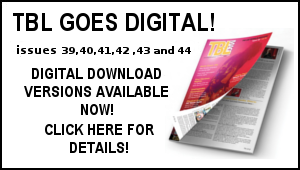 Just to bring you up to date with the TBL product schedule: TBL 32 is out now and readily available – TBL 33 is planned for late September. 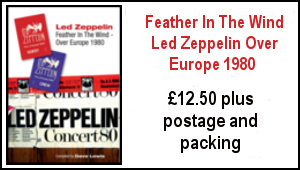 The updated second edition of the Led Zeppelin at Knebworth –Then as it Was book has unavoidably gone back to later in the year. My work load has been somewhat intense here and being a one man band, it’s often hard to juggle between various projects. I am aiming to focus on this as soon as I can –there is some great stuff lined up for this which will make for a new improved and compelling volume. All pre orders are logged and will receive the lowest numbers on going in the individually numbered limited run. Many thanks for your patience on this. Robert made a surprise appearance at Ju Ju’s appearance at the Hay Festival last Saturday – he performed if I Ever Get Lucky. (Tanks Liz Hames for that info). Football 1: Let’s get this one of of the way. Spurs chairman Daniel Levy’s decision to sack Harry Redknapp is as bizarre as it is surprising. A very foolish move in my opinion. You just get the feeling that the whole story has yet to come out. I am reminded of an autobiography by 1950’s Sunderland player Len Shackleton. It had a chapter entitled ”The average directors’ knowledge of football. It contained a single blank page. Football 2: England’s build up to Euro 2012 has been decidedly muted and unlike previous tournaments, it was hard to get enthusiastic about it all – however come Monday and the old ”Come On England” mentality was a back and here my good friend Max and Adam and his gang along with the good lady Janet cheered on Roy’s boys. It was a credible 1-1 draw with France but they will need to convert every chance to move forward against Sweden. We will be here at the TBL Towers shouting them on tonight. 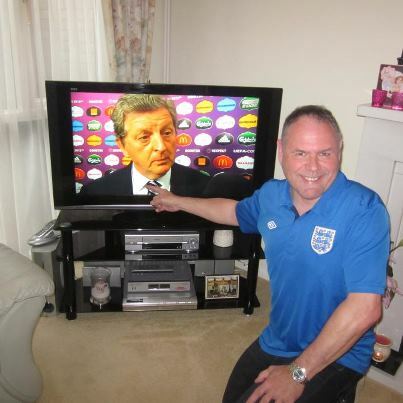 England update: A thrilling 3-2 victory tonight (Friday) against Sweden after going 2-1 down -well done Roy’s Boys! 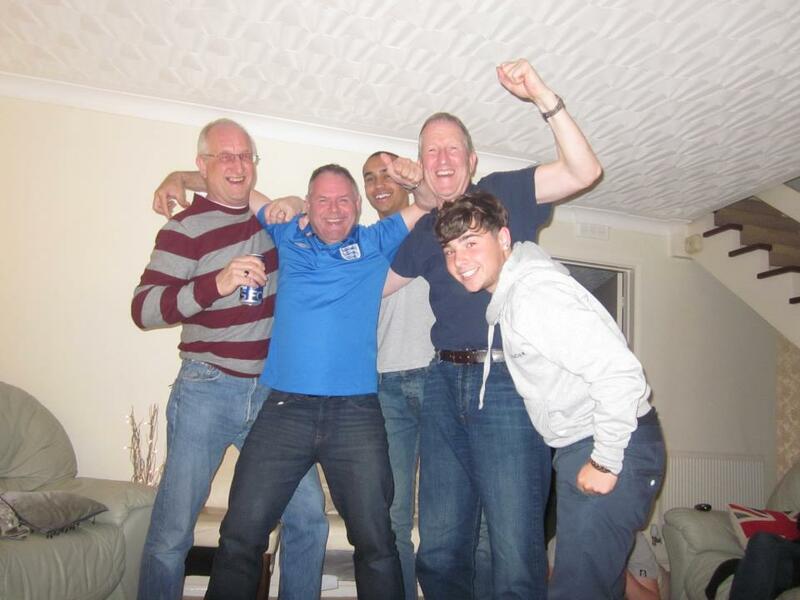 – as can be seen below, here at the TBL Towers we were pretty jubilant at the final whistle! Thoroughly enjoyed the Diamond Jubilee celebrations despite the dreadful weather. As for the concert – I thought Madness were superb on the roof and Paul McCartney chose a wise set list that mirrored all aspects of his particularly legacy (Ola- Di- Obl- Da –come on it’s off the White album- you gotta love it!) and while we are on the subject, Happy birthday 70th birthday to the still lovable moptop on Monday. I am actually a massive Wings fan circa 1973 -1976 -they made some great singles and albums and line up with Zep/Stones/Bowie/T Rex/Faces/Mott/Slade as the definitive soundtrack to my teenage years. On TV I’ve been enjoying BBC4’s Punk Britannia series of documentaries. I have fair few punk singles in my collection – Damned,Pistols,Clash etc. For a short while it was a genuinely exciting movement. I always loved the fact that Jimmy, Robert and Bonzo had the balls to go and check it all out at Soho’s Roxy club in early 1977. Dinosaurs not. I’ve just stared wading through the proofs of Barney Hoskyn’s forthcoming book Trampled Underfoot – The Power And Excess of Led Zeppelin (due September). I’ve been involved with this since Barney started his research over two years ago. 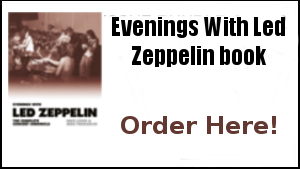 It’s a very different way of relaying the entire saga as it’s told through masses of quotes from the countless new interviews Barney has conducted – in effect it’s an oral history and on first view this one is going to be a very valid addition to the Zep bookshelf. More on all this soon. On the player apart from Zep USA 72, Bob Dylan Nashville Sessions and more (top quality outtakes from his 1969-70 period) and The Rolling Stones Goats Head Soup Outtakes Collection –I have great affinity for that 1973 Stones era. With the terrible English weather ongoing, in between scribing away I am trying to catch up on a backlog of stuff to play. As you can see by the pic below -there’s plenty of it! Above – The TBL Towers work station with suitable listening inspirations to hand as the rain keeps on falling. Got to say I’m more than a bit bogged down with stuff at the moment with various health and domestic issues here impacting on an already packed workload. Gary Foy,as previously mentioned, is also not 100% . I am sure you all know how difficult it can be in balancing everything. I’m currently working on the From a Whisper book additonal text for the TBL insert and I am about to get going on a non related feature concerning a classic 1970s album that i need to complete next month. Plus TBL 33 to formulate. Of course there’s always musical solace at hand, so in between trying to keep on track, I think I’ll be reaching for Led Zeppelin Sizzles In Seattle – a 3 CD set that captures the remarkable concert in Seattle on June 19 1972- it was on this night they premiered The Ocean,Black Country Woman and Over The Hills And Far Away and performed Dancing Days twice. Dave I absolutely love this issue of TBL I’m slowly devouring every tidbit trying to make it last. I’m really enjoying the review of Jimmy’s “On This Day” as well. How The West Was Won my favorite live release so brilliant. Thanks again for a stellar publication. ENGLAND 3 SWEDEN 2 ……..!!!!!!!!!!!!!!!!!!!!! 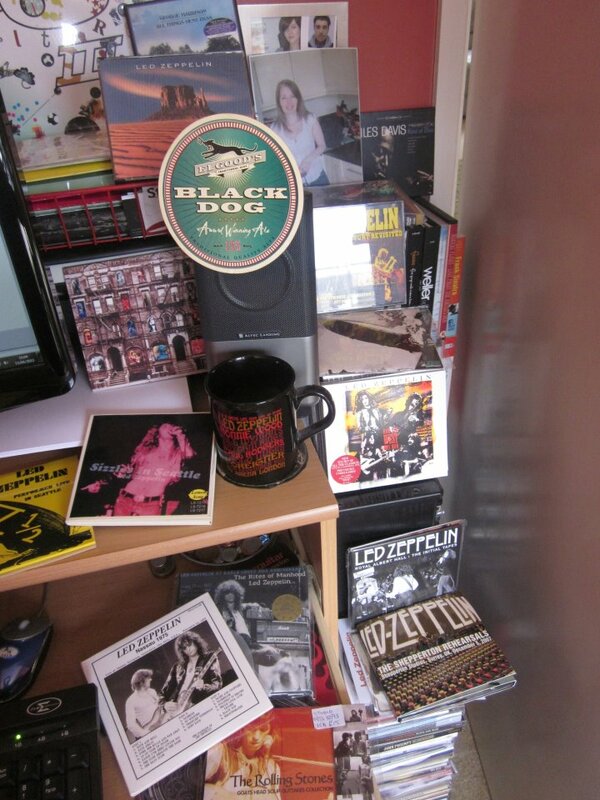 Loving the Physical Graffiti outtakes CD on your work stand Dave!